The guest lecture given by Avjobs was comprised of many useful tips and was reinforcement for many of the subjects we have previously talked about. One of my favorite quotes of the lecture was “No never means no, it merely means no for now”. Don’t give up. Avjobs discussed many aspects but what rang true and stuck out in my mind was “selling me.” We have talked about this many times, but what I really liked was the point he brought up, we all sell every day. The last time we wanted to go somewhere for lunch, we were trying to sell the idea to our friends. We wanted the end result of eating where we wanted to go. This means that we are all capable of building an amazing resume and tailoring it to the job we are applying for. We began to talk about how to secure a job and Avjobs brought up the statistic that 80 percent of jobs go unadvertised. His example was Jeppesen and the 150 jobs that they had open that were not yet up on the Avjobs.com. This is a great lead in point for getting your foot in the door. This is a great example of how having your foot in the door, even if it was not your Jeppesen dream job, could lead to another job. Just working in the company shows that you want to be there, and you will have a significant heads up about the 150 jobs that become available almost as soon as it happens. One of the great examples of how you get a job in the company and then move to other jobs within the company is listed above. It is networking that will help you get your foot in the door to start with. 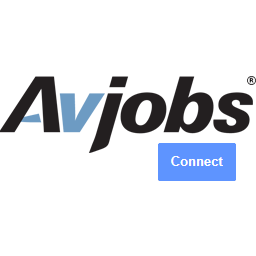 After you have made your connection, Avjobs stressed to only apply for jobs that you are qualified for. Then make sure that you are flexible when it comes to location, pay, and other factors if it is your first industry job. I definitely agree with this point. There is no point in wasting anyone’s time, neither mine nor the company’s, with incomplete paperwork or by applying for a job that you are not qualified for in the first place. The company stressed the importance of creating value for you; make yourself someone the company needs. After you get the interview, it is important to follow up. If you are turned down, don’t give up. Always follow up on the chance that they may have an opportunity available. If you are turned down again, a technique they brought up was asking for a chance. Avjobs said “Why not ask for a chance by saying, Give me an opportunity for six months and if you don’t like my work fire me.”. I feel that this could be a great opportunity for you, your career, and also the employer. If they don’t like what you are doing, there are no strings attached. If they do like you, everyone wins by helping the company reach a greater goal. The final section addressed was what employers find important. I feel that some of the most valuable information presented during the discussion was that an employer wants someone that they can have a good relationship with. They want someone that wants to work for the company and has common ground with the potential employer and that personality is everything! What can you do as a student to move your future forward? What can you do as a student to move your future forward? 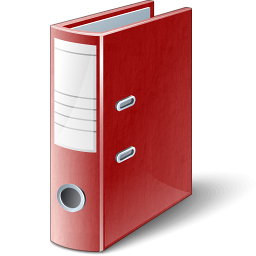 Create a professional portfolio. The work you put into this organized collection of goals and accomplishments now, will prepare you to stand up to the competition later. There are many documents and notes to keep, along with “to-do’s” to consider when building your portfolio. This list is a good starting point and you can add other things along the way. Make a list of all your accomplishments including awards you’ve received, achievements, GPA etc. Create your personal network including professors, local businesses, volunteers, mentors etc. Ask people in your personal circle what they see as your strengths and weaknesses. Keep a list of your strengths and work on fixing your weaknesses! Ask for letters of recommendation from professors, managers, volunteer committee heads etc. Creating your personal, professional portfolio involves considerable effort but should also be fun. It's a good way to toot your own horn and the payoff might be just what you hope for; landing the perfect job upon graduation. The Mohawk Valley Community College (MVCC) Airframe & Powerplant Certificate program is located at Griffiss International Airport in Rome NY. The MVCC A&P Program is FAA FAR147 approved (Cert #VXYT570K). This program is unique because it spans three consecutive semesters over the course of twelve months. It provides the required 1,900 hours of FAA curriculum, and all students are issued a seven drawer roll-around Snap-On, or MAC cabinet box tool set as part of the program tuition. With the A&P certificate program being only one year in length, it is ideally suited for those who need to obtain their FAA certification in as short of time as possible in order to get back to work. The MVCC Aviation Training Center offers training on a functional Boeing 727-100 and a wide variety of general aviation aircraft. The presence of two heavy jet MRO’s on the same airport also offers exposure to different aircraft types for students. The program has been involved in several military aircraft restoration display projects including a B-52 and F-4 Phantom. In addition to the FAA A&P certificate, students may also chose to continue with MVCC for two more conventional college semesters to achieve an AAS degree in Mechanical Technology: Aircraft Maintenance. MVCC has two main campuses and several off campus locations, with approximately 8,000 total students. It is also part of the State University of New York (SUNY) system, which allows for all standard forms of financial aid to be applied to the cost of the tuition and fees, and insures all programs offered by MVCC are maintained to the highest academic standards. Because MVCC is a non-profit community college, the tuition rates are much lower than other similar programs offered by private educational institutions. Room and board in the upstate New York area is very affordable which also contributes to keeping the overall cost of obtaining an A&P certificate through MVCC very affordable. Are you a Contributor or a Participant at work? The important part of the answer is not what you think, but what your do. Actions speak louder than words, and realistically this directly translates into the fact that at work and in business, how others view your contribution is more important than how you view your efforts. Ever wonder why some people always seem to get all the breaks? The reason is probably not what you think. We're not talking about brown nosing here. The answer is that they aren't "Breaks" at all. They're rewards for contributions, and to be clear, we don't mean efforts. We're talking about results, commitment, dedication and contribution. Take a closer look at your own career. When it comes to promotion or raise time, do you get what you deserve or do get what you've earned? Where are you now and where do you really want to be in your career? What have you done to get where you are, and what are you doing to get to where you want to be? More importantly, what are you going to do today – before the end of your day? This concept applies to all industries and all job titles from entry level to senior executive. But hold on one minute. Before you can really understand all of this you need to do some serious soul searching. Ha… Funny! You can't be serious? Really? Who really values their "Job" over their personal life? The answer to that one is easy too. Nobody. So then why do we even bring this up? Easy, because a job is not a career and that's the whole point. You first have to decide if you are working a job, or working to build your career. Employers are looking for career minded employees. The value of someone just looking for "Job" or a "Pay Check" is next to ZERO. There is a distinct difference between a job and a career, and it mostly has to do with mindset. So what does this mean and how do I understand how all this applies to me? We've provided some further explanation and a few examples to help you better understand. Keep in mind, everyone's situation is different, and we know that. But at the end of the day, it is what it is and the same general rules apply to everyone. Some of you are going to hate the truth that follows. Some of you are going to disagree and exclaim that these concepts are ridiculous. Some of you are going to think you possess some of these things in yourself. And yet some of you are going to agree with everything that follows. The difference is the reality of how others view your contributions and not how you view yourself. The best way to read the following is to understand that "you don't know what you don't know". You should also understand that your opinion of yourself and your efforts only matters to you. Others will always determine your value at work and in business based on what's important to them (not you), but that you can change that through your actions. If you like sports this is an easy concept to understand. As a part of the team, do you want to win? How much do you want to win and what are you willing to do before during and after the game to insure a victory? On the other hand, you may just want to be a part of the team. Maybe you're the cheerleader type? Lots of team spirit and participation, but everything comes from the sidelines. Don't confuse team spirit with touchdowns. More importantly, don't confuse effort with results. Most employers seem to agree that a good employee displays qualities such as communication skills, dependability, ethical standards, punctuality, initiative, a positive attitude toward the job, ability to get along well with others, flexibility, motivation, organization, ability to perform assigned duties, ability to follow instructions, critical thinking, team player, and knowing your limits. And most employees and job applicants would look at this list of expectations and find it reasonable. It's human nature for people to do their best unless they purposely plan something different. The problem is that these qualities and behaviors are automatically assumed by employers and make up only minimum expectations. More or less indicating "This is what you need to do to get the job". After that, employers expect more in order to keep the job. Most employers do not provide programs to train their new employees on how to develop loyalty, project a good attitude, or show up on time each day. And why would they? Everybody that graduates from high school or college has these qualities and more, don't they? They must have displayed these qualities before and during the interview, right? Well… That's really not the question here. The real question is, are they self-motivated enough to use these qualities? Do they have an agenda, or are they just looking to collect a paycheck? These days employers are complaining more frequently about the work ethic of new employees and are frustrated with the degree to which they lack the basic skills and behaviors necessary to succeed in their jobs. Employees are not showing up to work on time (or, in some cases, not showing up at all), abusing sick days, not willing to perform the tasks assigned to them, and not taking the initiative to look around and see what needs to be done. Employees are spending more work time chit chatting with co-workers and surfing social media site than they spend working. One research study found that 28% of the average Facebook users work day was spent using Facebook. If you factor in coffee refills, bathroom breaks, lunch periods and regular office chit chat, the average worker spends less that 40% of an eight hour day actually performing work related tasks. Often these same individuals have portrayed themselves in interviews as dependable, flexible, and willing to take initiative. So what's the problem? How does this happen? It all comes back to jobs vs. careers, contributors vs. participants. There is a distinct difference between the two, and it mostly has to do with mindset. As employees, we're not hired for our time or our physical presence or even our skills. We're hired to contribute, to shape thinking. We're hired for the value we provide. We're hired to contribute. It's easy for employees to have a mindset of participation, which is based largely on being present or showing up. But in the eyes of the employer this is unacceptable and often results in a parting of ways much sooner than later. Employees often don't understand and tend to resent their job over time. They don't feel valued and retreat into a false feeling of entitlement. The truth is, you're only worth your weight in contributions and that efforts without results are worthless to employers. Remember you can be replaced if you're not self-motivated enough to contribute at a level that produces your employers expected results. While you're at work there is a fine line between what you do for yourself and what you do for your employer. Let's face it, from 8-5 your employer owns you. They are paying you and they expect you to be working on work related things not personal things like surfing social media, planning your vacation, updating your resume, or watching the clock so you get out of there ASAP. Unless it's part of your job, you have no business using social media during business hours. Sorry but that's a fact. You don't have to like it, but you do have to deal with it. If the concept upsets you, even just a little, you're probably working a job. If you really couldn't care less about that statement or feel it doesn't apply to you, you probably working at building your career. What are some examples I can use to determine if I am working a job or building a career? Answer the following questions as they relate to you and ponder your thoughts to better understand if you're working a job or building your career. Do you produce results that are directly tied to revenues or do you just produce efforts? If you get up in the morning before your alarm clock goes off and you're in a hurry to get to work, you probably working a career. If you hit the snooze button and dread the day ahead you're probably working a job. Do you take a lunch break at the same time every day no matter what is going on in your work day? Or do you eat when you're hungry or when you have time, or even at your desk to make sure you're accomplishing your goals. Do you internalize the inner workings of the company and/or your specific job function, or do you just push the button when the red light comes on? Do you have a burning desire for accomplishment or achievement at work, or are you more concerned with how you're going to spend your personal time? Are you more interested in talking to fellow employees about current events or focusing on your current project and its success? A participant is normally late or arrives just minutes before their scheduled start time. A contributor is normally early. A participant will put off tasks until later. A contributor will get it done today, so they have more time to accomplish other tasks tomorrow. A participant wants a pay check. A contributor is on a mission and rarely cares about a check (as long as they still get it). A participant asks, what's in it for me? A contributor asks, how can we get this done? A participant asks, how much more work will I have to do if I speak up? A contributor asks, what does it cost me if I don't speak up now? A participant asks, what's the least I have to do in order to satisfy my employers expectations? A contributor asks, what would really ‘wow' them? A participant asks, how can I skirt responsibility if this goes down the tubes? A contributor asks, how can we all share the load for successes AND failures? A participant thinks how can I get out of here before 5? A contributor thinks I hope I can get this done before 6 so I can spend more time with my family and friends. Life is too short for simple participation. It's not worth the opportunity cost. If you've spent your life participating with no real contributions, you probably wasted a lot of time. It's your future. Make a difference, Contribute! One letter from person in aviation - knows your skills and experience, abilities, on the job performance, etc. On application - fill in the blanks legibly! Try introduction, "My attraction to the industry began with…" "I always wanted to receive training from…"
If multiple scholarships to one organization - place all singular envelopes in one large envelop and make certain the outer container/envelope is sufficient for that journey! Remember - your odds are thousands of times better than the lottery!